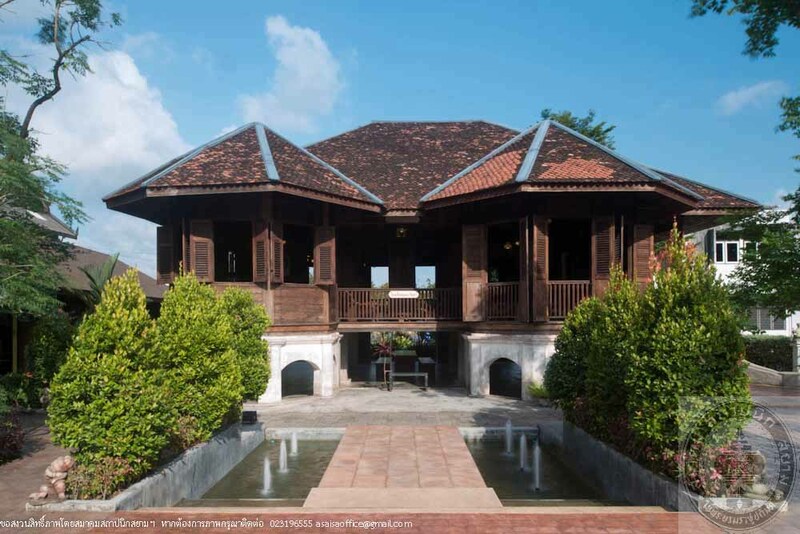 Architect/ Designer Designed by Khun Rattawutwicharn and built by local artisans of Chinese descendents. 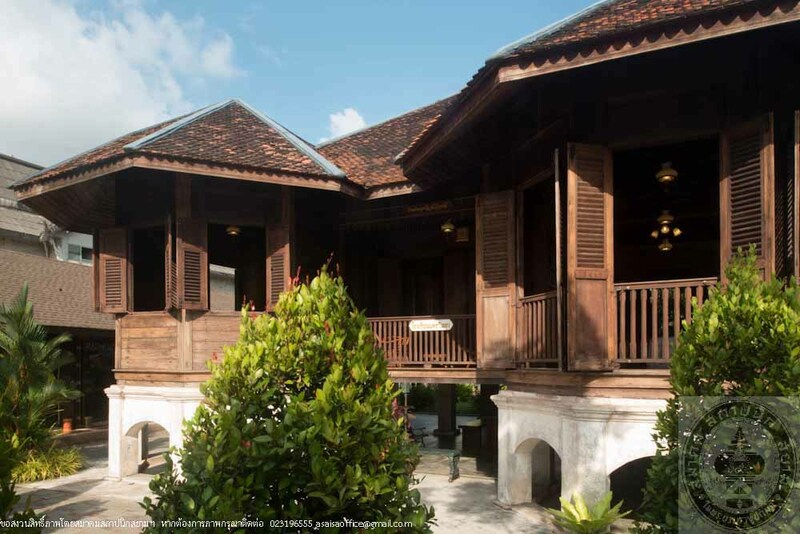 Commonly known as Baan Than Khun is the residence of Khun Rattawutwicharn, born Deom Malayanon in 1881 in Nakhon Sri Thammarat. He was appointed Chief of Klai Distric under Royal Command with the right to the possession of 800 Rai of farmland. 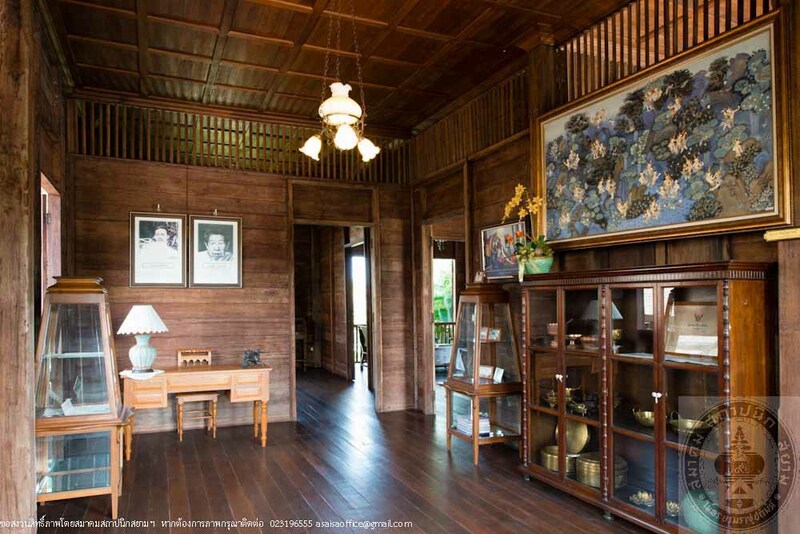 In 1912, as he had no offspring, he gave his land and house to Kowit Srisattayapan, a nephew of his wife. 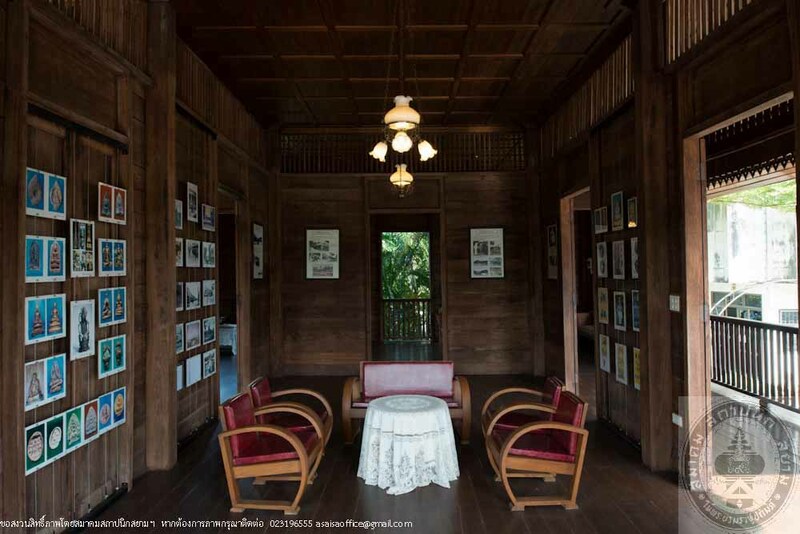 Kowit made us of this land and house by opening an elementary school named “Rattawut Wittaya School.” In 1939, the school was renamed “Nakhon Wittaya School” and later ceased its operation in the year 1986. The land fell into the possession of Samran Srisattayapan, Kowit’s grandson who rent out the property to a gas station business for many years. 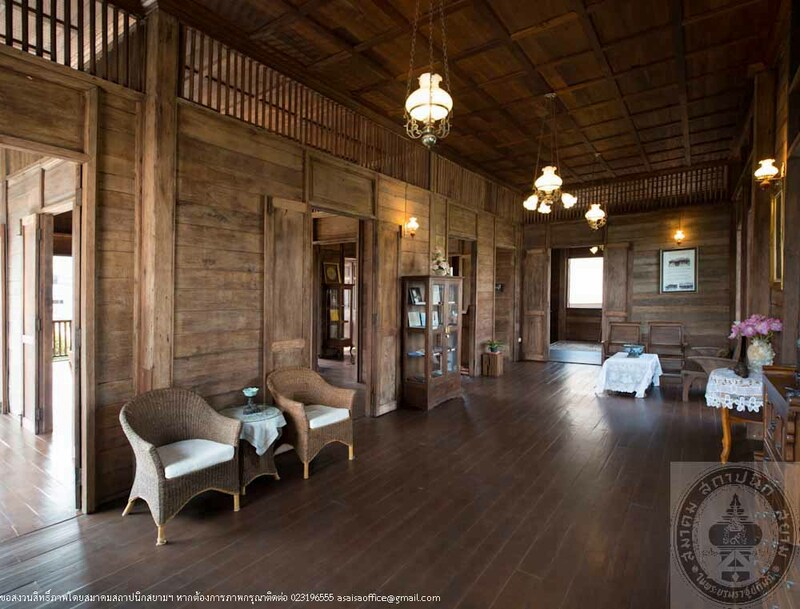 When the rent agreement ended, Nattasut, Samran’s wife consulted with Sumet Rujiwanitkul, a local architect on the restoration and improvement of the property. 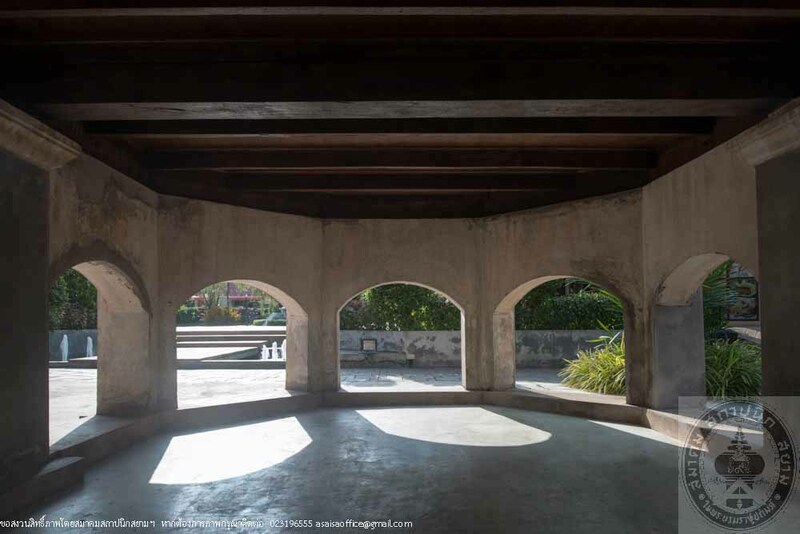 Sumet suggested that the original structure should be preserved as well as all of the little details such as doors, windows, flooring, roofing, ceiling that were made of wood. 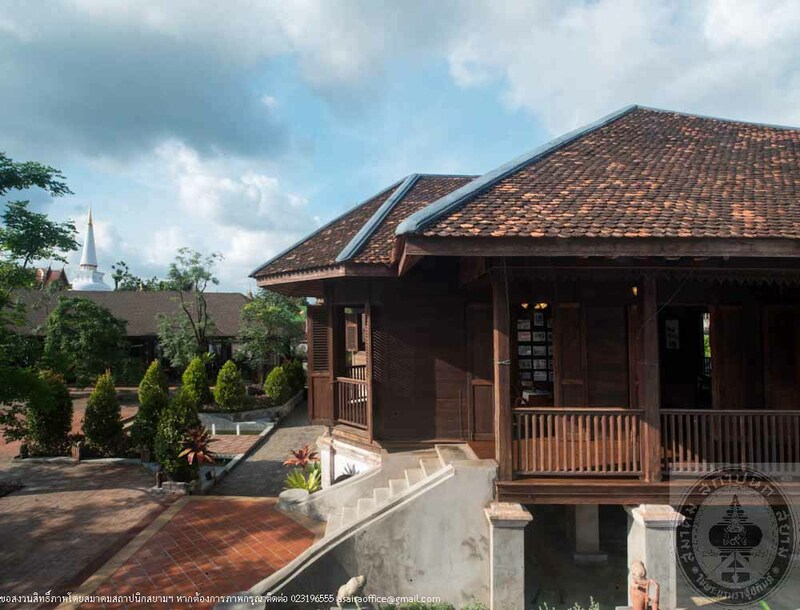 The renovation almost gave a perfect new life to the house except for the local terra cotta roof tiles that were so thin that many of them were decayed and broken. 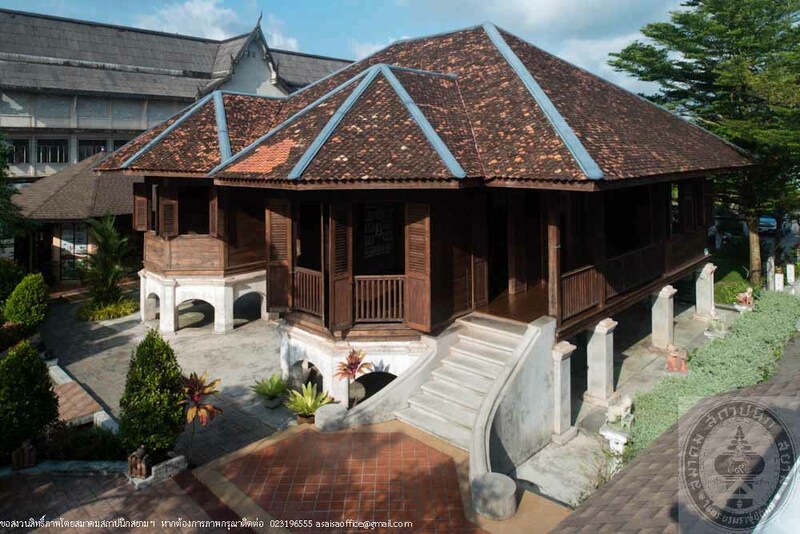 And since the supplying and maintenance of this roof material was difficult, they replaced it with thicker and tougher terra cotta tiles from Ratchaburi instead. The area in front of the house was left open in the center to give the house a more prominent look from the main street. When it was a gas station, the land was filled so high it almost got to the house making it looked like part of the house foundation was underground. The architect created a design to have part of the dirt filling removed to open up the house. The new local shop and restaurant in front of the house were also designed to be in harmony with the house and not to dim the remarkableness of the house. 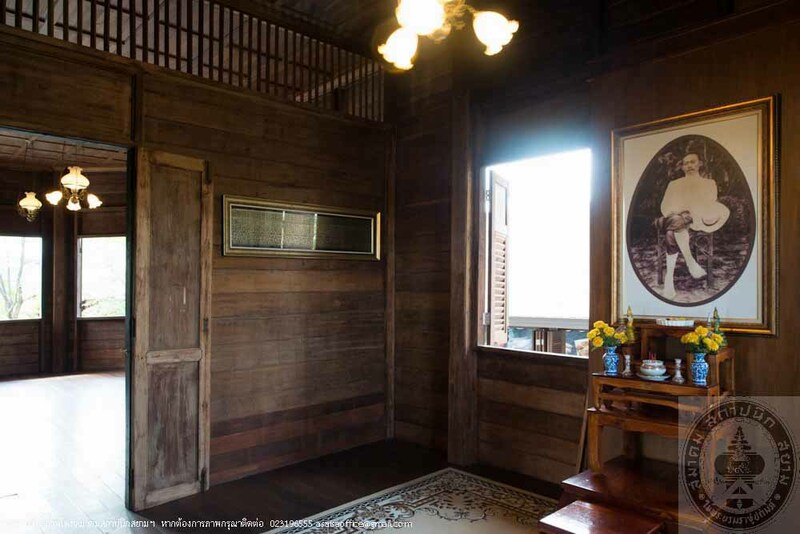 Baan Than Khun is a single story home raised above ground with an open space under the house. The load-bearing pillars were built of bricks with plastered arch beam and stucco molding to avoid leaks. Southern styled wide corner front entrance stairs with two front porches and hip roof which gave the house its outstanding look. One of the front porches serves as a guest reception room and another one as a living room. From the living room, one can see the gold top of the stupa of Wat Mahathat Worawihan. 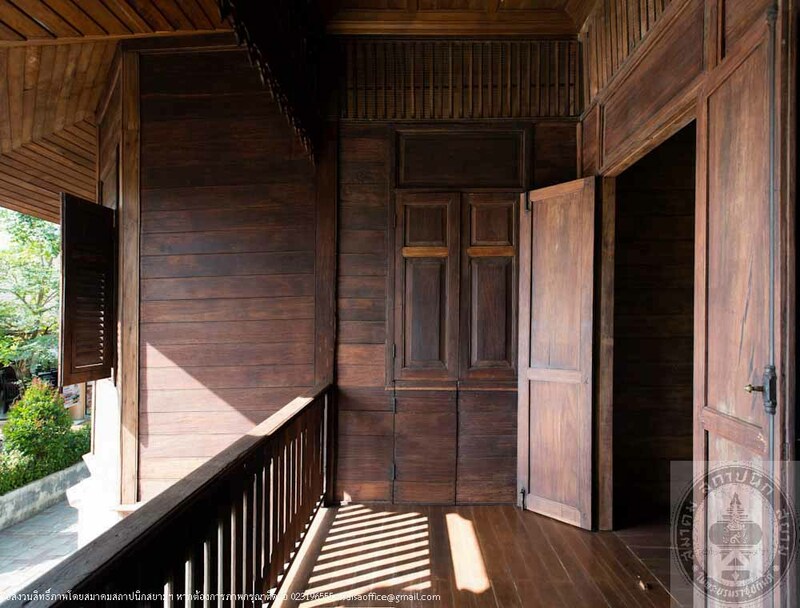 Windows in living rooms are double paneled, wood patterned, from the floor to the wood vent on the upper part of the wall with navigation pane in the middle of the two panels. High wood ceiling gave the house a good ventilation. 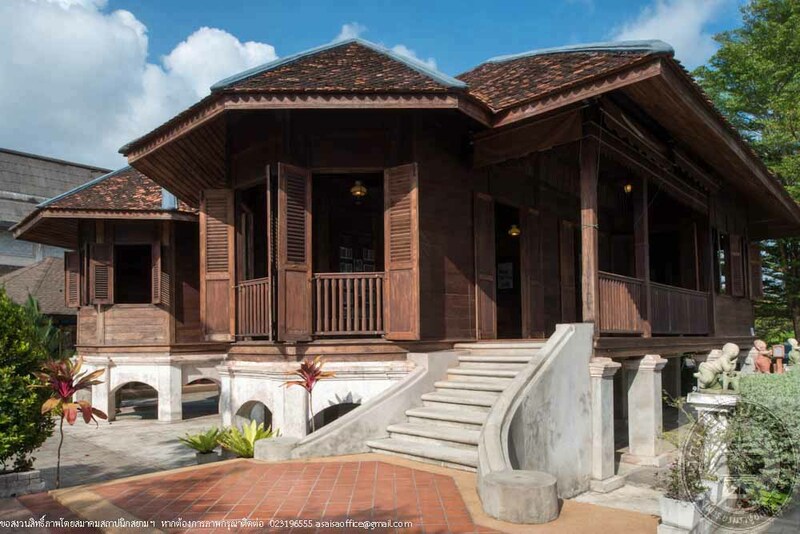 The current owner of the house realized how valuable the house is and invested in a careful renovation of the house at high cost as well as seeking advice from specialists of various fields in order to preserve local architecture. 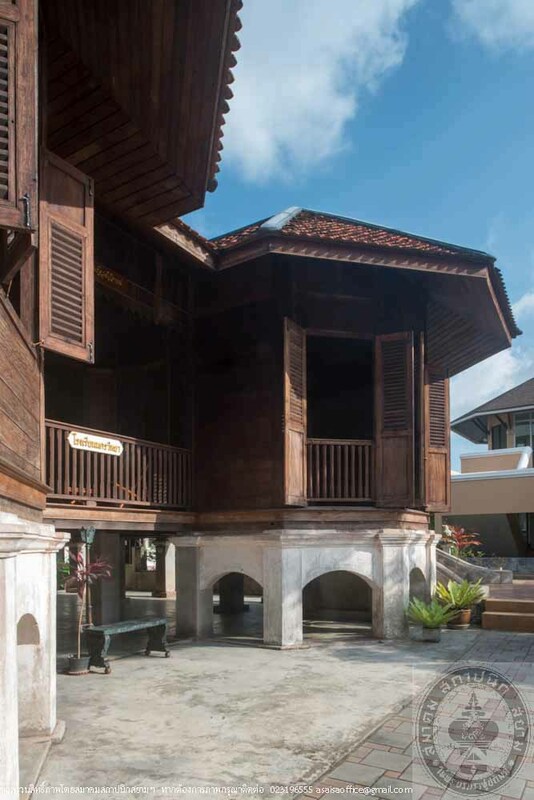 A private, not for profit museum was established to serve as a learning center which can set an example for other private sectors to become aware of the value of ancient residences that should be conserved.